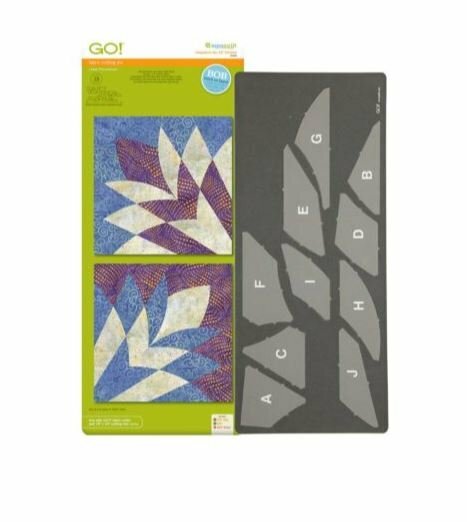 A traditional quilt block, Cleopatra’s Fan is perfect for quilters looking for a challenge or a new bucket list project. Die features specialized dog-ears, matching notches on curved seams and screen printed letters on die for easier alignment and piecing. The GO! Cleopatra's Fan die makes a 12” finished quilt block and works with the GO! Qube™ Mix & Match Block system. Your GO! or GO! Big cutter ensures precise cuts in no time. Finished Size: 12" Finished Block (30.9 cm).